The more you submit, the higher chances of winning! Download the contest form here. 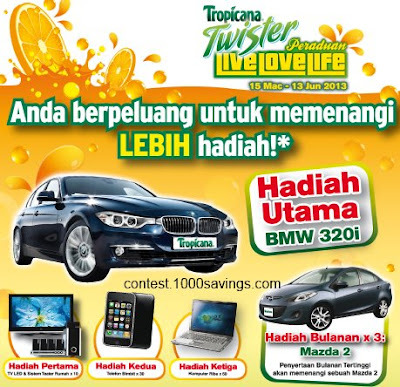 Visit Tropicana Twister website for more details.